We combined the playful and artistic IONiX play sculpture with a PowerScape play system to create a hybrid play environment that children will love! The challenging climbing activities appeal to older children who have lost interest in the traditional playground. 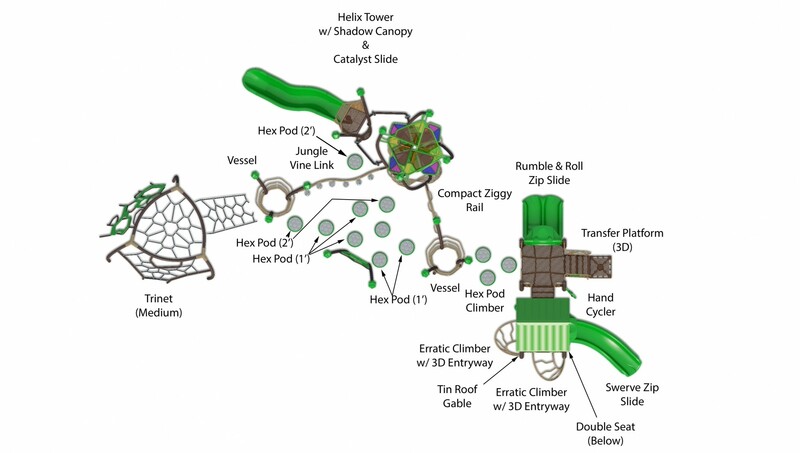 The system features a Helix Tower with Shadow Play Canopy & Catalyst Slide, Rumble & Roll Zip Slide, Vessel, Trinet (medium), Hex Pods, Erratic Climber with 3D Entryway, Swerve Zip Slide, Jungle Vine Link, seating areas for taking a break from all that climbing! Provides challenging climbing activities that appeal to older children. Promotes looping patterns of play to encourage longer periods of play and physical activity. Constructed of durable, recyclable materials and backed by the industry's leading warranty. with a PowerScape play system to create a hybrid play environment that children will love! The challenging climbing activities appeal to older children who have lost interest in the traditional playground. 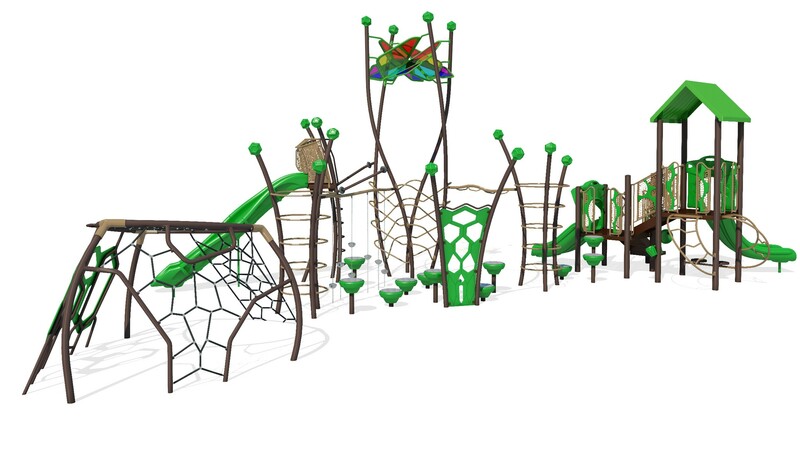 The system features a Helix Tower with Shadow Play Canopy & Catalyst Slide, Rumble & Roll Zip Slide, Vessel, Trinet (medium), Hex Pods, Erratic Climber with 3D Entryway, Swerve Zip Slide, Jungle Vine Link, seating areas for taking a break from all that climbing!